To me, using technology to boost my productivity is almost everything. I’ve spent almost two and a half years searching for a practical, cost free (or very cheap) method of managing my time, boosting my productivity and being creative. I think I have cracked it. As a student and creative, trying to juggle time to fit everything in, staying creative and being productive is a big task. Since getting my MacBook Pro, I have used nearly every application I could find to see is it could keep me productive and creative. Now, I use a variety of applications, services and methods. I’ve found that the ability to have multiple email accounts with their individual tasks, events and labels is really handy. I can see when I am due to go to college, work experience or out on shoot. I can also see when things are due, when I need to see family/friends and remember birthday. If you have to manage a company or group – that has it’s own email – you can see what everyone else should be doing or more likely, what they should be doing. You also have the ability to attach notes, files and locations to the event. Spotlight search is one of the most helpful tools on the mac, you have the ability to find documents, contacts, events, applications and much more. I use this tool to quickly open applications and recent files, Spotlight search learns what you search for the most. For example, if I search the letter T Spotlight will put Twitter as the top hit, the same applies to Final Cut Pro when I start to type fin… which makes finding things a lot easier. It may only seem to save a matter of seconds, but over the course of one days worth of use you save about half an hour at least. 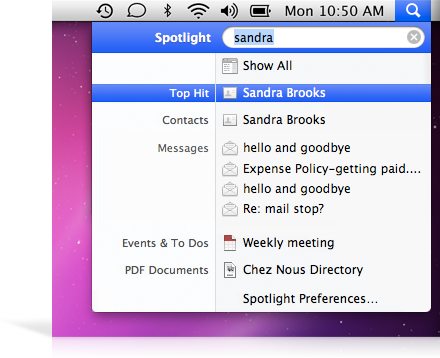 Spotlight is also configurable to search (or not search) user defined files and drives. These three applications, to me are my creative trio. Evernote lets you store notes that are synced with as many desktop and mobile devices that I want, similar to notes on iCloud, except with more options, more platforms and quicker syncing. MindNode is an application that lets you quickly create mind maps with no limit to the amount of nodes or characters at all. Pocket is a read later service, however I use it like I -occasionally- Pinterest, to save interesting articles, awesome designs and photography. When they’re used together they really help with creativity, and productivity for that matter. 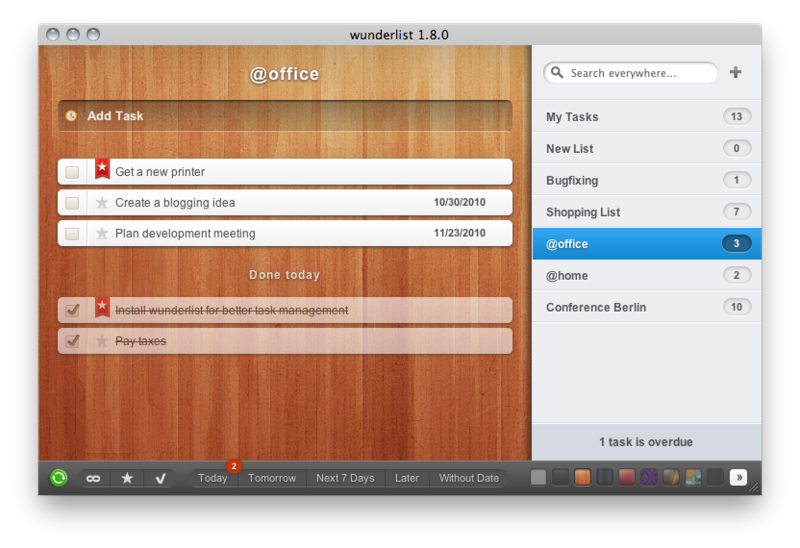 Wunderlist is a great productivity application, which syncs across multiple devices on multiple platforms. 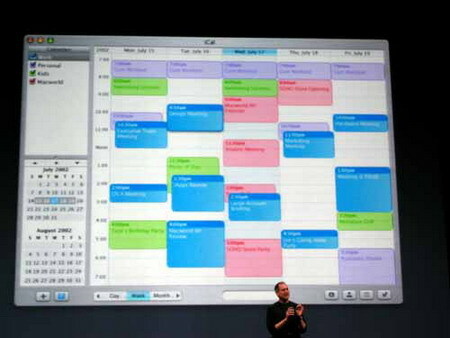 This application, unlike reminders, lets you add notes, due dates and gives you the ability to easily create lists. I use Wunderlist to help organise work loads, tasks and I have a list of things to buy/do for my house/bedroom. Lists can be shared between as many or few people as you wish, they get to see deadlines, notes and whether or not you have stared (prioritised) a certain task. I do however, wish that this had integration for notification center and iCal/Calender, the option to attach files would be great too. I am however, told (via a tweet) that these three things are being developed as you read this, or are due to be developed very soon. 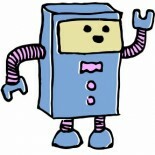 As many people that follow me on Twitter/Facebook know, I absolutely love Geektool. 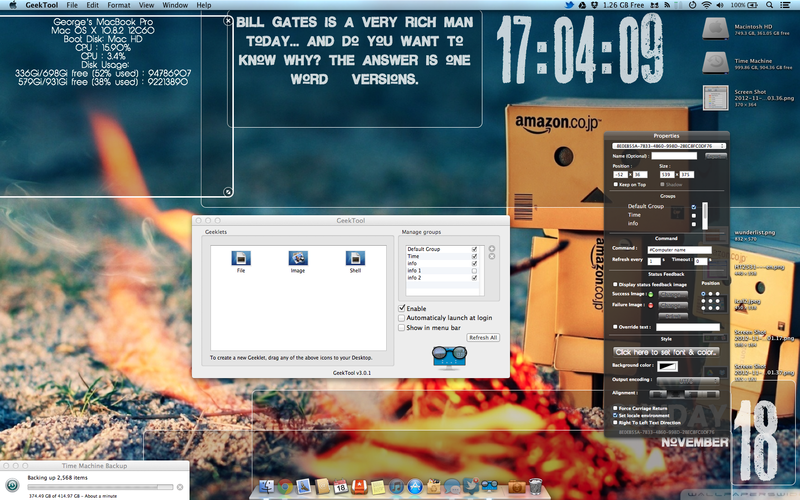 The simple ability to add the time, date, system specs and more to your desktop is just unbelievable helpful. You can add so many aspects to your desktop via Geeklets and scripts which are readily available on the internet and fairly simple to write yourself. My Geektool set up consists of [left to right]; system information, random/chosen quotes to boost inspiration, time, day, date and month. This is a fairly basic set up, I’ve seen some that have; calender information, RSS feeds, weather and iTunes information. Google Drive and Dropbox, to me, are extremely helpful and essential applications/services. I use Google Drive to easily share and edit files with different people, this allows me to see what they’ve changed, as well as giving me the ability to change multiple options depending on who the file is being shared with. I use Dropbox to store templates, Final Cut Pro/Avid/Adobe workspace files and other files I use across different devices on a daily basis. I absolutely love these services and wish I could afford extra storage space for both Dropbox and Google Drive. Definitely recommend these services. 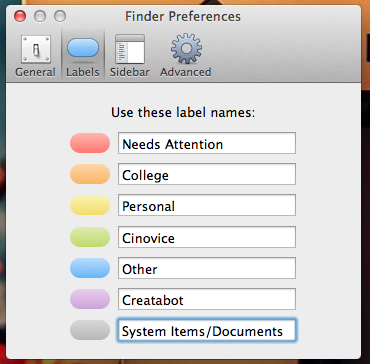 Using colour labels within the Finder is nothing new for any mac user. However, in my opinion not usually for the right reasons. I don’t think that occasionally labeling a folder red, in order to grab your attention half way through a project is at all a good use of this powerful tool. As you can see I have labeled all of the possible colours, and I label everything -seems a little obsessive- which, at a glace lets me know which each folder and project is for. These are just a few things I do to keep productive and creative. If you have any more ideas, comment, tweet or email me. This entry was posted on 19/11/2012 by George Langridge in Editorials and tagged art, art in Kent, art in South East, art zine, artist, Calender, camera, craft, crafts, Creatabot tags: creatabot, Creatabot zine, creatarbot, creatbot, createbot, creative, creative Kent, creative magazine, creative South East, creative website, creative webzine, creative zine, creativity, creativity in Kent, creatorbot, drive, dropbox, ever, evernote, flower, forty, four, Gallery, geek, geektool, george, google, googledrive, help creatives, help for artists, Holiday, ical, indie, indie art, indie magazine, indie zine, Inspiration, Kent, kingdom, langridge, lens, light, London, mac, Medway, Nikon, note, online art magazine, online art magazine Kent, online art magazine UK, online creative, online creative magazine, online magazine, os, osx, photo, photography, pocket, productivity, promote artists, search, South East, spot, spotlight, studio, style, stylefortyfour, support artists, support creatives, tech, technology, the arts in the South East, tool, uk, united, webzine, wunderlist, x, zine.